Discussion in 'Fable IV' started by Dark Drakan, Jul 31, 2018. According to a report by GamesIndustry.biz the studio rumoured to be developing Fable IV (Playground Games) have been picking up programmers from BioWare, Motive Studios, Guerrilla Games, Ninja Theory, and Rocksteady Studios. Playground Games Studio Director Gavin Raeburn said the following when asked about the hiring. I'm really pleased with the quality of the team we're building here at Playground. We continue to attract world-class talent from around the world thanks to our exciting projects and the passion of our team. It's been a fantastic start for our second studio and I look forward to seeing it continue to grow over the coming months. vulnificura, lee and Wiigzy like this. Starting to sound like a big deal, excited for their team. Dark Drakan and lee like this. I’m glad that they have a very experience team on the job, fingers crossed that it is Fable that there working on. I was concerned that a developer who had never produced a role playing game before, would struggle to met expectations. I’m sure that the team that there building now have this experience and that they know what there doing there. There is a rumor that Microsoft might buy Obsidian studios as well. They would have been the perfect studio to develop Fable 4 because of their experience and success with rpgs, but it looks like Playground has now been given the responsibility. Hiroz41, FableDon95, vulnificura and 1 other person like this. Obsidian need to work on a new Knights of The Old Republic game now Bioware have released some disappointing titles. Hiroz41, Emendio, FireDrakeZ and 2 others like this. Only recently found out about all these rumors. I have no doubts anymore that fable 4 is in development, I am just not 100% convinced yet that playground are the ones working on it (it is looking very likely tho), but I hope they are. Whatever this new RPG is, it looks like a big project, with lots of talented people. Wouldn't mind that for fable. Hiroz41, vulnificura and lee like this. I would be gutted if a British developer such as Playground Games or Rare weren’t involved with a new Fable game. All the evidence does hint at Playground Games though, so I’m keeping my fingers crossed for these guys. We don’t have many developers left in England, who work for Microsoft and can also pull off a game as massive as a Fable 4 unfortunately. Hiroz41, FireDrakeZ, vulnificura and 1 other person like this. Yeah, I agree. I do think it is going to be playground games, I am just not completely sure yet. But it definately needs to stay in the UK. Fable's britishness is such a huge part of it's identity. And as a lover of stuff like Monty Python that is absolutely part of what made me fall in love with the series in the first place. But I do feel like the people at Microsoft understand that as well. Phil Spencer at least seems to have a certain respect for the series from what I have seen. Hiroz41, vulnificura, FireDrakeZ and 2 others like this. I agree whole-heartedly. I personally don't think BioWare is going to last after Anthem comes out. They can reassure everyone that their RPG series isn't dead, but this is EA, they've pulled the plug on studios and their projects before. Seeing as BioWare isn't the same studio today as it was before, I think it's safe to assume that Playground Games has picked up some of their ex-employees. That being said Playground Games sounds like quite the powerhouse. I'd like to see what writing staff they'll hire from (hopefully, from the same studios they gotten their programmers from). I personally haven't played Forza, but it would be their second chance at producing a Fable title. Obsidian [studios] may have changed a lot since KOTOR II and Fallout: NV days but they still produce fantastic games. I hope that if they are being bought by Microsoft, that Microsoft allows them to maintain their creative freedom and offer a stable workplace. As in, more opportunities to have a bigger team, budget, and more than 1-year for development. I'd be a little nervous with Microsoft's recent track record to cut their exclusives; however, if Microsoft plays their cards right, they won't waste this studio. Either way, I'm going to be hype if anything comes to fruition! Hiroz41 and lee like this. It is hard to find developers with the same English sense of humor that Fable embodied. If Lionhead couldn't be resurrected, maybe Playground Games which is fortunately is also based in England, could live up to that standard. vulnificura and lee like this. It's great to see that they're hiring talented devs, but from I've seen they only seem to be in the programming and art depart. I'm looking forward to see if they hire game designers and level designers with the same quality background. Because I'm sure that the game & level designers who worked on Forza are great, but there's no suptitute to the experience of working on RPGs or Action-Adventure AAA games. Most importantly I hope they find a creative director that truly understands Fable. Say what you want about Peter Molyneux, the man had the vision that made fable great, even if he got a bit sidetracked on Fable 3. We definitely need someone that understands the core and small aspects that we all fell in love with. Hiroz41, vulnificura, Dark Drakan and 1 other person like this. I can't believe that the company that made KOTOR 2, Fallout New Vegas, Pillars of Eternity 1 and 2, Tyranny, Neverwinter Nights 2 and Alpha Protocol will become an exclusive to Microsoft. Single player RPGs is still a weakness with Xbox compared to PS, but this studio acquisition will definitely more than even the odds if it comes to fruition. Hopefully we get to see the likes of KOTOR 3 and Alpha Protocol 2 in the future along with their other staples. Hiroz41, vulnificura, lee and 1 other person like this. 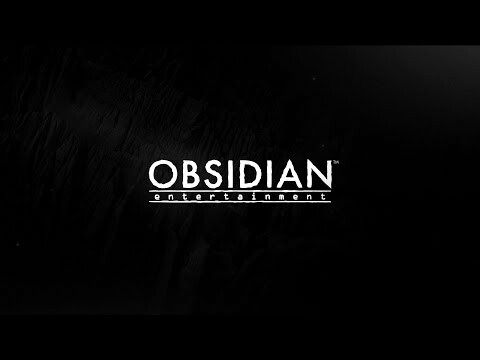 Been hoping something would happen with Obsidian for some time, a great studio that ive been waiting for a new title from for ages (didnt play Pillars of Eternity but heard good things). Pillars of Eternity Definitive Edition and Tyranny along with 22 other games was given away by Twitch Prime last July I believe. I took advantage of the offer by signing up with Amazon Prime. Both were great games if you are a crpg fan. With Ninja Theory(Hellblade Senua's Sacrifice), Playground studios(possible Fable 4 and FH5), Turn 10(Forza Motorsport), Coalition(gears), 343(halo infinity) and now possibly Obsidian in the Microsoft family there are a lot to look forward to in terms of AAA exclusives on Xbox consoles this gen and the next. vulnificura and Dark Drakan like this. They are certainly acquiring a lot of decent developers, lets just hope we start seeing some games soon though. Though I still have a decent backlog on XB1, PS4 and PC to get through yet. vulnificura, FireDrakeZ and lee like this. If 'Fable 4' Is In Development, Don't Expect To Hear About It For "A Long Time"
Well... that just makes me sad. I dont mind if they take their time to get it right, I would rather that than them rush it out before its ready as they will only have one chance to get this right and first impressions will be everything. lee and Hobbilis like this. So glad that Fable 4 has finally been confirmed at last. I’ve been searching though social network waiting for something to be announced. Thank you Hobblis for drawing this to our attention. I would be happy to wait for a decent Fable. It will be interesting to see what Playground Games will be able to do with it. It looks like Fable 4 is not the only rpg we should be looking forward to as MS exclusives. Obsidian and InXile are big names in the rpg industry with Obsidian often spoken of in the same vein as Bioware. Hiroz41, Hobbilis, Dark Drakan and 1 other person like this.